The limousine was invented in 1902, and customarily featured its driver behind the wheel in an open compartment while his passengers sat in the vehicle’s covered rear. The stretch limousine first appeared in 1928 and was designed primarily to transport large musical groups and their leaders. Today as in the beginning, the limousine is the most conspicuous example of expensive, luxurious ground transportation. It symbolizes anything from pure consumption to great power, since government officials worldwide use them. It also symbolizes special occasions such as weddings, bachelor parties, bachelorette parties, high school proms, funerals, major business openings, and major awards ceremonies. Moreover, limousines today are not restricted merely to extensions of large, top-of-the-line luxury automobiles. 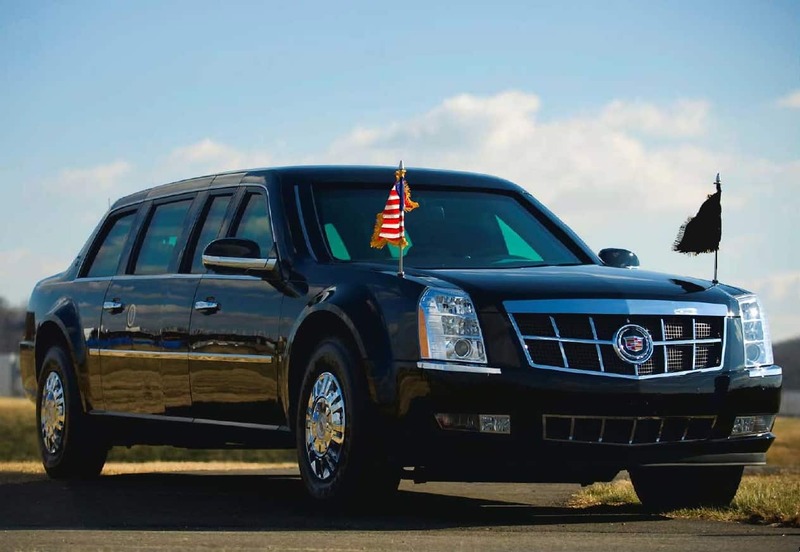 Today limousines can be, and often are, fashioned from sport utility vehicles (SUVs), vans, or even certain types of large-cab pickup trucks as often as they are fashioned from large luxury sedans. 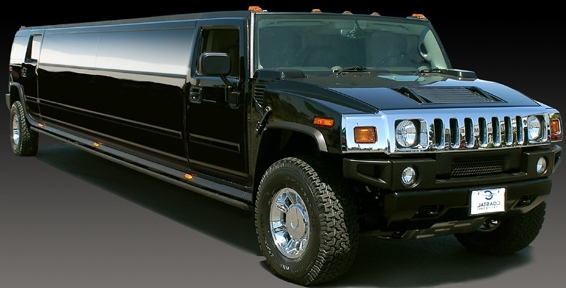 The limousine industry is worth an estimated $4 billion dollars. Finding the world’s most expensive limousines is simple enough, but finding the world’s most luxurious limousines is a genuine matter of individual taste. Today’s limousine can be anything from a simple, comfortable, elemental formal transport car to the next best thing to a rolling nightclub complete with a bar. Quite literally, there is no single standard for determining the best limousines or the most luxurious limousine. The entry-level price means the cost a buyer would pay for the basic limousine vehicle before adding any additional features beyond the manufacturer’s original offering. A limousine such as the Cadillac XTS, whose entry-level price is $48,635, could actually end up costing as much as twice or even three times the money depending entirely on how the buyer asks either Cadillac or a third-party customizer to augment the car from its basic platform and amenities. Because determining the world’s most luxurious limousines is not as simple as finding the most expensive limousines, what follows is a look at the twelve most expensive limousines known today, based on their entry-level prices. This review is limited strictly to brands who make the limousine versions of their base cars as well. 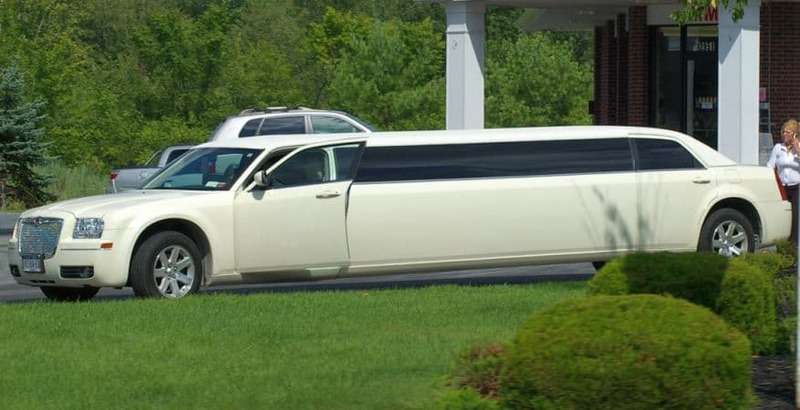 It should be noted that many limousine services prefer to buy the base cars and then send them to customizers to convert them to stretch limousines. Here, though, we will address those made by the car brands themselves. Where applicable or available, their basic amenities are described, and they are listed in ascending order. 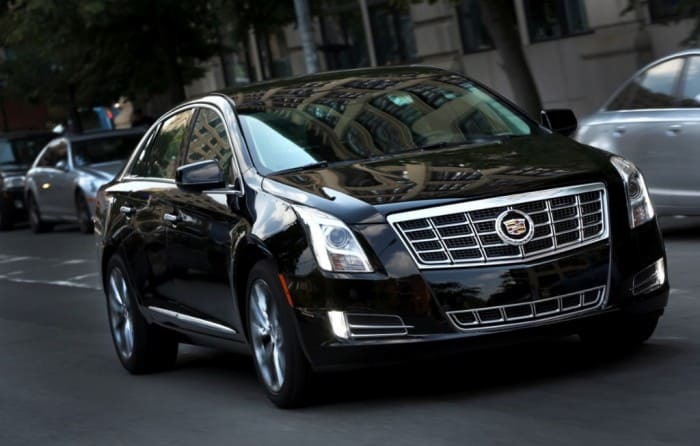 12) Cadillac XTS Limousine. Entry-level price: $48,635. Essentially, this is an expansion of Cadillac’s XTS sedan, with the full stretch models featuring three doors on either side of the car. Introduced in 2012, the XTS limousine is built either in Ontario or in Shanghai and features all-wheel drive as well as a six-cylinder engine. The formal-car, or non-stretch variant, includes such luxury additions as a suede head liner on the inside roof of the vehicle, illuminated door handles, a rear center console, and on-board navigation. Both the formal car and the stretch packages offer such options as surround-sound premium audio, ambient lighting, heated seats, rear-seat climate controls, and side- and rear-window shades, as well as the standard leather seating and on-board bars. 11) Lincoln MKS Limousine. Entry-level price: $49,800. Built by the Ford Motor Company in Chicago, this is a stretch of the MKS four-door sedan. Unlike the XTS, the full-stretched MKS limousine does not feature the extra door on either side, but the car does feature a choice between front- and all-wheel drive. 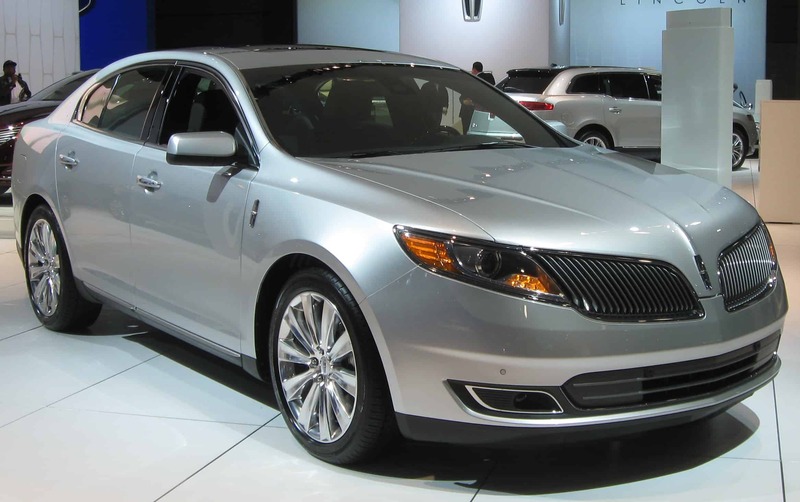 Lincoln introduced the MKS limousine in 2013, after its MKZ crossover proved a far less than popular successor to the Lincoln Town Car limousines that were the most commonly used chauffeured limousines in the United States and Canada for over three decades. Ford’s decision to discontinue the Town Car after 2011 left Lincoln to seek an alternative and the brand ultimately decided on the MKS. Both the formal and stretch versions of the MKS limousine offer leather seating, heated or cooled rear seating, satellite radio, surround-sound audio, on-board bars, and variable interior lighting schemes based on limousine service choices. 10) Porsche Cayenne Limousine. Entry-level price: $75,000. A stretched version of Porsche’s Cayenne SUV. The limousine is powered by an eight-cylinder engine. 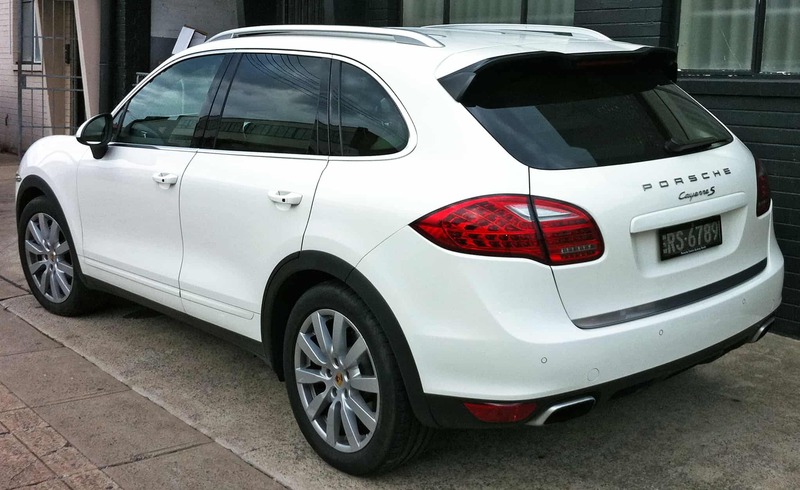 Based on multiple sources including customer reviews, the Cayenne limousine’s most popular feature seems to be its on-board sound system, which some customer reviewers likened to a full concert-level audio presentation. The vehicle is CD and DVD player compatible with three flat-screen television sets in some variants, and most customer reviews praised its sophisticated on-board bar system as well. 9) Ssang Yong Chairman W. Entry-level price: $103,000. A full-size luxury formal built by South Korea’s Ssang Yong Motors and said to be favored by South Korean and other Asian limousine service operators for its four-wheel drive capability. The car is offered with a choice of six- and eight-cylinder engines, the latter believed to be the largest eight-cylinder ever produced in Korea. It is also offered with Scottish leather seating, motor-operated rear seats, wireless charging devices, and extended head and leg rests. 8) Mitsubishi Dignity. Entry-level price: $105,500. Like the Chairman W, the Dignity is a full-size formal car, or non-stretch limousine, though a few stretch models have been made. The Mitsubishi Dignity was returned to production in 2012 and features front-wheel drive and an eight-cylinder engine. The new generation Dignity is also slightly taller in height but slightly narrower and shorter all-around. 7) Hyundai Equus. Entry-level price: $113,000. 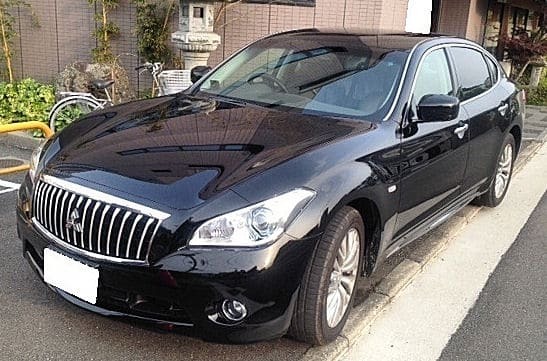 Basically, the Equus is Hyundai’s version of the Dignity. 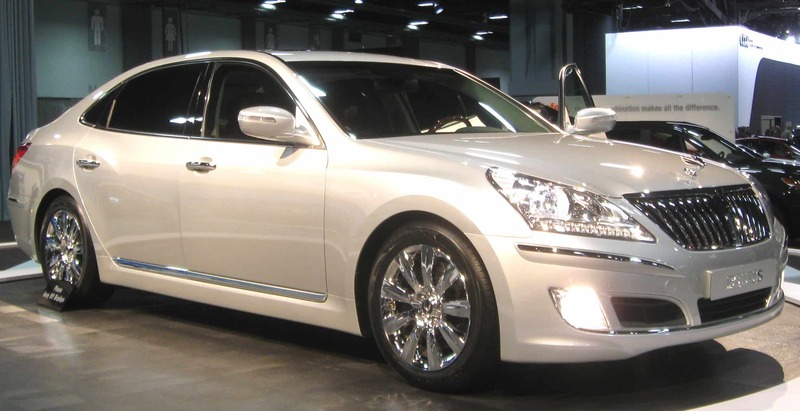 Mitsubishi co-manufactured the original Dignity with Hyundai, and the South Korean automaker decided to market its own version as the Hyundai Equus. The Equus limousine is a formal car with a slightly longer wheel base than the standard Equus sedan, featuring rear seat leg support. The standard engine is a V6 but Hyundai also offers a V8 in the armored version of the car. Very little is known about the limousine outside Korea because the car has not yet been marketed extensively in the United States. But basic features include powered footrests, leather seating, wood trim, rear leg supports, and even a massage system inside the seats. 6) Chrysler 300 Limousine. Entry-level price: $140,000. A very stretched version of Chrysler’s 300 sedan, the middle-section stretch is almost as long as the standard 300 sedan. The car features a V8 HEMI engine and is considered by numerous limousine services to be one of the best stretch limousines. 5) Mercedes Benz S Class. Entry level price: $154,000. The stretch variant customarily features three doors per side, as does the Cadillac XTS stretch. The S Class limousine also features a twelve-cylinder engine and is one of the few limousines to receive awards from key automotive publishers and reviewers such as Car and Driver and Motor Trend. 4) Cadillac One. Price: $300,000. There is a reason for only one flat price listing. The Cadillac One has only one customer—the President of the United States. Based on the DTS four-door sedan, the successor to the former, venerable de Ville line, the Cadillac One is not a limousine you can buy for a standard car service. The car is built atop a Chevrolet Kodiak commercial truck drive train and features headlights derived from the Escalade SUV and rear lights derived from the CTS sedan. Other than that, there are reasons why the automotive press likes to call it the car that thinks it’s a tank. The body is made of steel, titanium, aluminum, and ceramic, insulated at the level of a military tank, to protect the President and his accompanists from a biochemical attack. The fuel tank is encased in thick foam to withstand even a direct hit. The front contains night-vision lighting cameras and tear-gas cannons just in case. The windows are six layers thick enough to catch any bullet before it reaches the President. The trunk is fitted with two large containers designed to carry the President’s blood type in the event of a medical emergency. And the doors are as heavy as those on a Boeing 757 airliner. 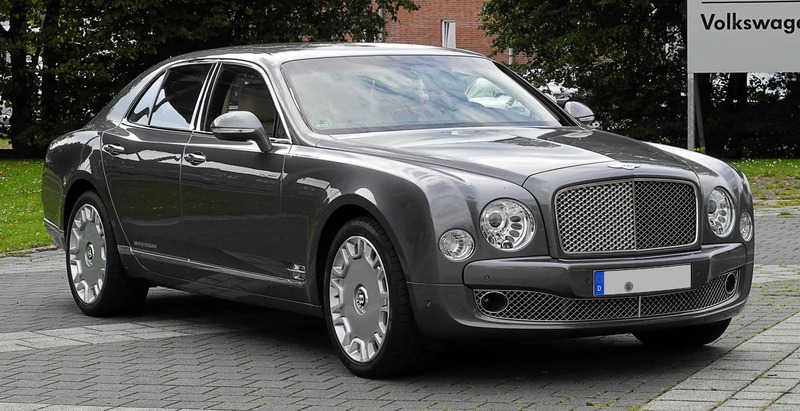 3) Bentley Mulsanne. Entry-level price: $301,625. Essentially a less-expensive answer to the Rolls-Royce Phantom, the Bentley Mulsanne is a formal car that offers a number of options including electrically-operated privacy curtains in the passenger compartment that resemble vertical louvres. Passengers can enjoy front headrest-mounted LCD screens, leather-bound picnic tables with spaces for iPads or laptops, a Naim audio system, and Bluetooth headphones. The passenger compartment also features carpeted footrests that hide away under the front seats when not being used, and the headrests with manually-adjusted wings and lower extension than standard headrests can be folded away neatly. 2) Rolls-Royce Phantom EWB. Entry-level price: $470,295. Rolls-Royce and luxury have been synonymous with each other for a long time. 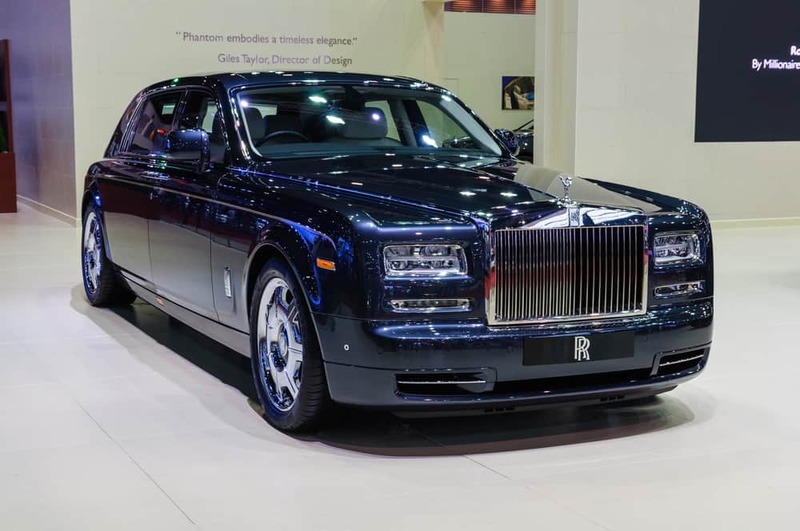 This Rolls-Royce Phantom continues a line that premiered as the first Rolls-Royce to be rolled out after the legendary brand was taken over by BMW. The current Phantom is powered by a twelve-cylinder engine. Its interior includes soft leather, hand-polished woods, and lamb’s wool carpeting. The Phantom remains a popular choice for weddings and other formal events. 1) Toyota Century Royal. Price: $534,135. Like the Cadillac One, the Century Royal has one user only and no commercial car service can buy one. 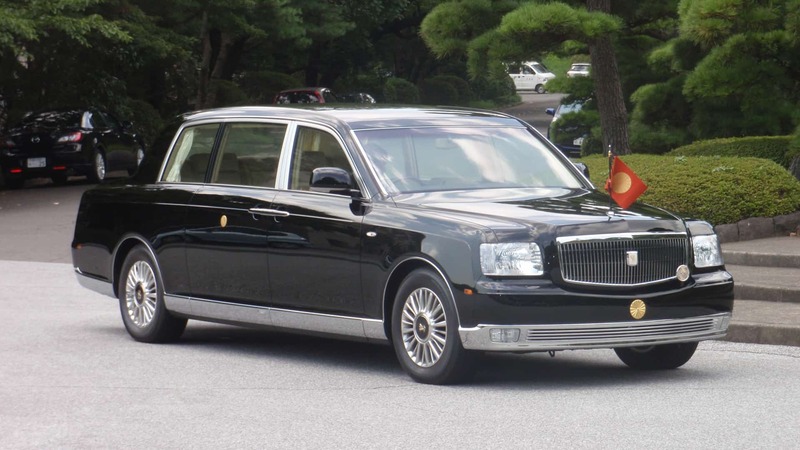 The Century Royal is made strictly for the Emperor of Japan, and Toyota has built only four since 2006. Like the S Class, the Century Royal has a twelve-cylinder engine.